Marc and I love this salad. It is so simple. 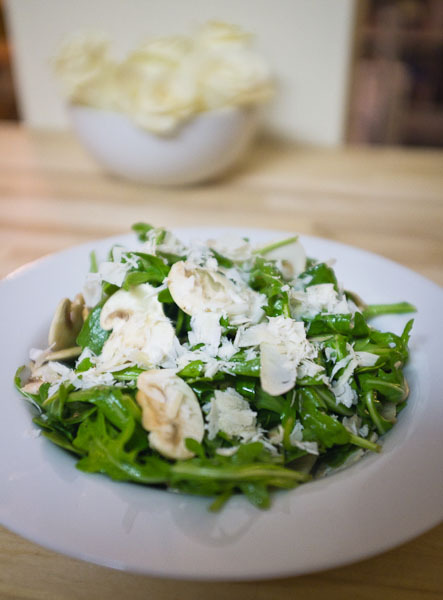 All you need is arugula, a lemon, olive oil, mushrooms and parmesan cheese. 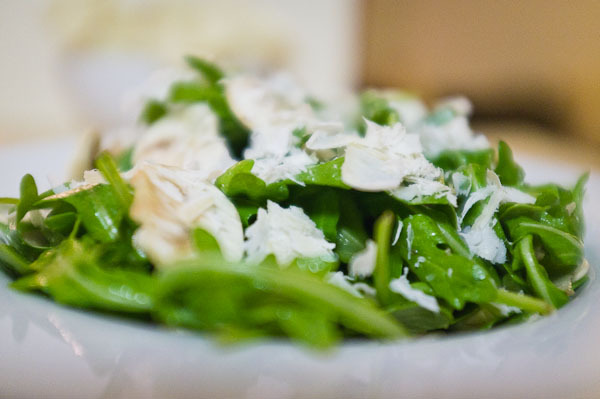 We have made this salad for many people and it is a light and healthy side for any meal. Ok, this is our first recipe post. We didn’t choose this salad for any particular reason other than we were just having it for dinner. Be patient, we are only just learning how to record ingredients so this may be a bumpy post. 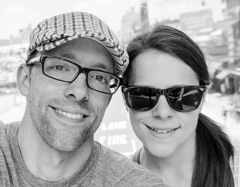 Marc and I eyeball everything when we cook…a little bit of this…a little bit of that. Stopping to measure ingredients before throwing them in a bowl is hard work. So, in short, go with your gut. 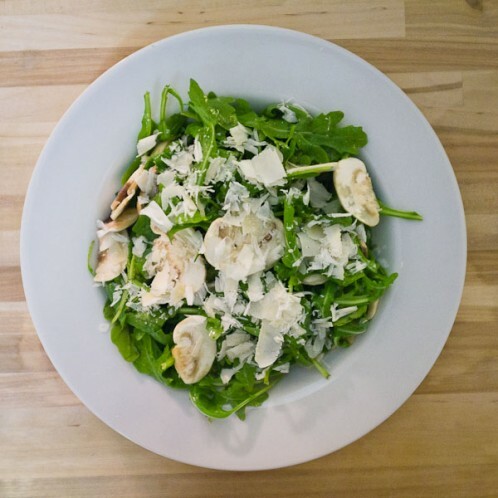 This salad is based on 2 large side portions as we tend to make sure at least half of our plates are loaded with salad. 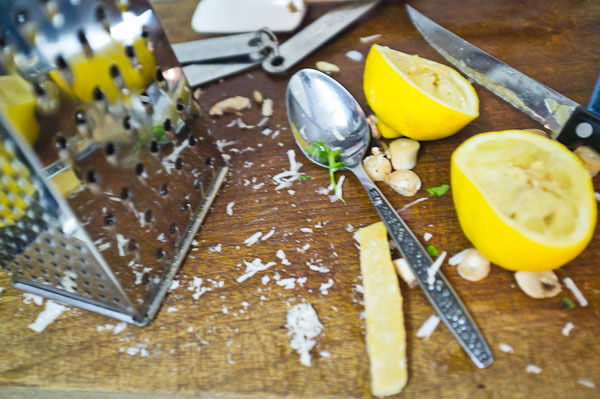 Parmesan cheese to garnish; finely grated or shaved. 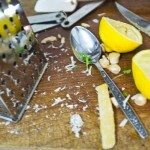 Baby Parmesan works well too if you want to save a bit of cash. 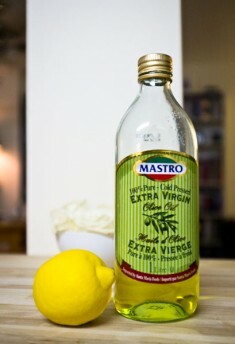 In a small bowl, mix olive oil and lemon juice. Put aside. 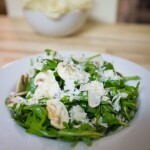 Wash and dry arugula and place in a large bowl. Add the sliced mushrooms and the dressing to taste. The trick is to let the salad sit for a few minutes before serving. The mushrooms absorb the dressing, so much so that they almost taste like they have been cooked. 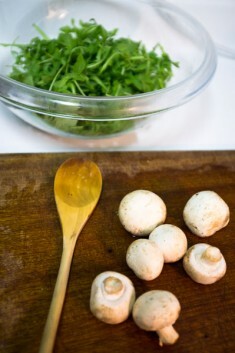 We have had raw mushroom haters tell us this is the first time they have eaten and liked a raw mushroom. 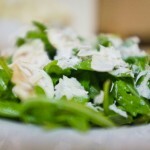 Dish out the salad and garnish* with parmesan cheese. 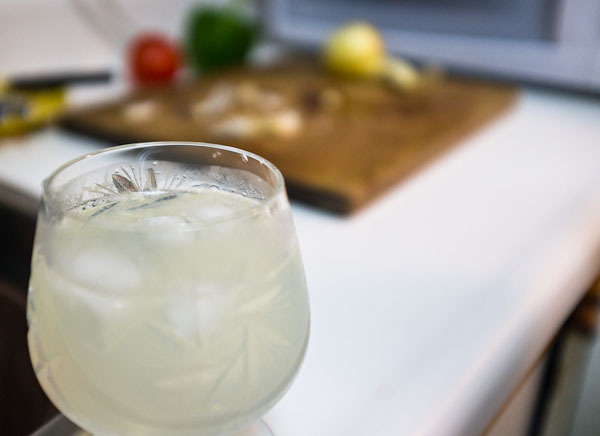 No cooking experience is complete without a cocktail. *Note from Nat: If you know me, you know I live for cheese. It is my favourite food and I snack on it daily – as does Marc. We actually have a tradition (taken from Marc’s childhood) where if one of us is cooking with cheese we have to cut two slivers to eat immediately. Not a bad tradition if you ask me! Anyway, if I say use cheese as a “garnish” it really means completely cover the top of whatever you are eating with cheese. The pictures you see do not really reflect how much cheese Marc and I end up eating. If they were accurate you would probably just think we ate cheese for every meal. So, use your discretion…no judgement!